What are you currently doing for your child that they could learn to do for themselves? As parents we can get very caught up in everyday life, looking after our children and not considering the bigger picture. However, a parent’s main role is to prepare our children for adult life. This involves teaching them to be self-reliant and taking some responsibility. Training children to do things for themselves is a gift not a burden. When children expect everything to be done for them, they can lack confidence in their own ability and be unappreciative. This philosophy definitely applies to packing in preparation for a holiday. Why not get the children involved instead of doing it all yourself? It saves time, teaches responsibility and then if something is forgotten they can’t blame you. How much you expect your children to do independently depends on their age, stage of development and temperament. Children of all ages from toddlers onwards can be involved at some level. This applies to any chore your child isn’t used to and don’t expect it all to be done in one go. For example, work out what you need to take, choose items, wash anything that’s dirty, get the case out and place it all in the luggage. 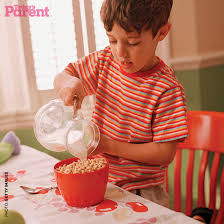 Depending on your child’s age, you may sit down and do this with them or leave them to do it independently. Establish where you are going, how long for and what type of clothes are needed – count how many days or nights there are and what activities you will be doing. This will give you the chance to check over everything before it gets packed and make it easy for the children to understand what they need and what they are missing. Top tip: Free standing coat rails are useful for doing this. I did this for the first time when I climbed Kilimanjaro and the whole family have done it ever since. Use thick plastic zip lock bags or net bags (Muji sell them in all sizes) and separate clothing into categories. It makes unpacking at the other end much easier. The kids can take the bags out without removing the content and it’s particularly valuable if you are moving around a lot on holiday or you have a number of children sharing luggage, as clothes get muddled up. We travelled abroad for a family wedding which consisted of four separate parties. With three daughters that was a total of 12 outfits. I took photos of each outfit before we left including hair accessories and shoes, so each child knew exactly what they were wearing when each event was happening. Everyone has their own way of packing and provided nothing important gets left behind it doesn’t really matter how you do it. Encourage your children to try different approaches. I always pack clothes on hangers which again makes it much easier to unpack at the other end. Also pack anything that creases easily with a plastic dry cleaning bag over as it helps reduce creasing. Injecting some fun and humour into any chore makes it more enjoyable. For example playing music and dancing whilst you pack. 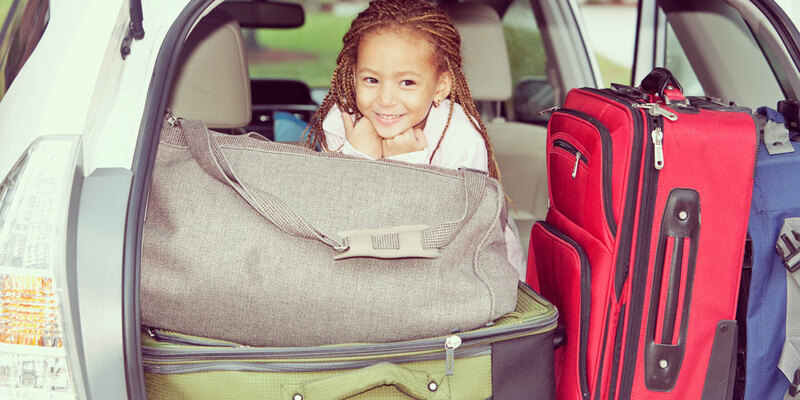 If your child has never packed before, start by asking then to pack their toys or hand luggage. If you want them to pack again, it needs to be a positive experience. If they make lots of mistakes or silly suggestions don’t be too critical or instruct too much. Praise, encourage and acknowledge every tiny step in the right direction. When children are busy they can be more open to talking so use it as an opportunity to connect and chat about other things. Place two plastic bags in the luggage so once the kids are on holiday they can place any dirty washing in the bags making things tidier when they are there and much easier to sort when you return home. Helping your child develop good habits and encouraging more independence truly sets them up for life. This is something you are likely to hear from your children a number of times over the course of the summer holidays. I think children today more than any other generation before are so used to structured after school activities or sitting indoors in front of a screen that they literally don’t know how to keep themselves busy. Parents mistakenly think it is their job and responsibility to keep their kids happy and occupied but children have to learn how to entertain themselves. Unstructured or down time is actually very important for children’s mental health. Your main role as a parent is to set your child up for life as an adult and prepare them to be part of society. Children need to learn to do things for themselves and when they become adults will need to be skilled at managing their time (including leisure time) and pursuing interests that contribute to their happiness. The learning starts now in childhood. Why is unstructured time so important? Kids learn how to be alone and actually have time to just be, think and contemplate life so they are comfortable in their own company. Creativity and imagination is more likely to develop if they are not in front a screen and need to occupy themselves. For my younger 2 daughters despite having lots of toys and games at home, their favourite activities are role play (mums and dads, doctors, restaurants) and drawing. It’s a great advantage for children to have at least one passion, something they have chosen that they really enjoy and work hard at. Without unstructured time they have little opportunity to develop this. For my eldest child it’s music, my second art and the third gymnastics. My youngest has yet to find hers. 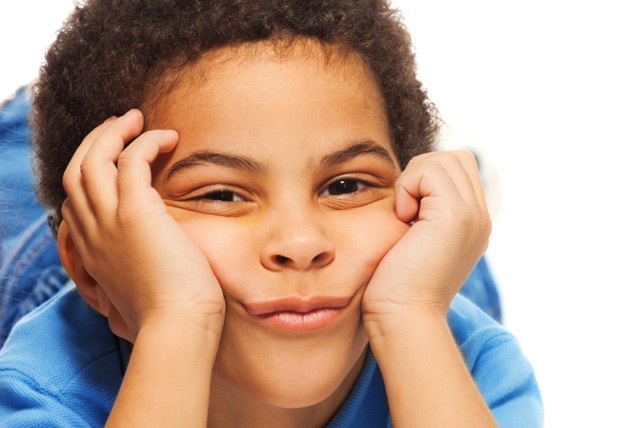 How can parents respond when their child is ‘bored’? Firstly establish whether they are saying this because they are craving your attention. Make sure you are scheduling bursts of ‘special time’ with each child and opportunities to connect with them. Encourage your child to brainstorm activities they can do when they feel bored and perhaps contribute your own ideas. If they are old enough encourage your child to write the ideas down so they can refer to them next time they are bored. Limit screen time so they have to get into the habit of finding something else to do. Screens and particularly games on screens are purposely designed to be really engaging and addictive, providing a boost of dopamine so children want to use them and every other activity seems less exciting. For younger children I love Sean Covey’s book the 7 Habits of Happy Kids with the story about Sammy squirrel and it being his responsibility to make fun for himself. Just to be clear it is mainly your child’s responsibility to keep themselves busy and not yours. You need to give them the experience of being bored and the skills and ideas to handle that feeling rather than just trying to avoid it.